Along the banks of the Hudson at North River, and further south on highway pull-offs from Route 28, are some of the Adirondack Park’s best interpretive stops. Sturdy, visually appealing and informative exhibits coupled with well-designed DOT parking along the Hudson River have attracted visitors and residents for years to turn off the engine, breathe deeply, eat lunch, listen to the river and learn from the exhibits. At the northernmost pull-off where the Hudson takes the great bend at North River, I recently discovered a new exhibit to precisely match the older ones. 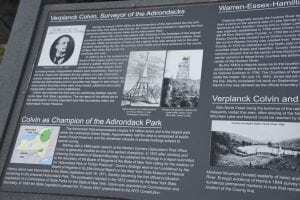 Placed there in 2016, it’s sponsored by the Surveyors Historical Society and the Colvin Crew and, fittingly, features the great 19th century Adirondack land surveyor Verplanck Colvin and what he accomplished right at this location. If I had to take someone totally unfamiliar but keen to learn about the Adirondacks, I’d take them here. The river takes a dramatic bend, there’s loads of logging and river driving history to read on the interpretive panels and some of that lore and history took place right here and can be read in same rocks and shoreline that the log drivers knew intimately. Of course, in the warmer months, this is where many rafting trips launching on the Indian River conclude their journey. Years ago, courtesy of Michael Wilson and Sagamore Great Camp, I was briefly granted the privilege of handling the oars of a river wooden dory (a McKenzie drift boat, designed for that river in Oregon) to take us around this bend in May’s high water. It was a thrill. But I digress. The new exhibit describes Colvin’s efforts late in his career (1892-96) to retrace the survey line separating Warren, Essex and Hamilton Counties. Right in front of my eyes, in the very center of this notable bend in the river, is the very corner separating three Adirondack counties. Lost due to agriculture, forest fire and extensive logging, the old 19th century survey line had to be retraced and who better than Verplanck Colvin to do it? The great surveyor stayed at the North River Hotel during the work. The new panel is fascinating and I recommend a visit. Thank you to the Colvin Crew and Surveyors Historical Society for keeping Colvin relevant and prominently in the public’s view. But this highway pull off reminded me how infrequently the name Verplanck Colvin is seen on these pages, so I resolved to write a short post about another Colvin project that only concluded 70 years after his death in 1920. Briefly, Verplanck Colvin (1847-1920) of Albany schooled himself in the Adirondacks beginning just after the Civil War and by sheer skill and willpower started, led, and managed the great Adirondack Survey from 1872-1899. In combining scientific curiosity, technical skill, leadership qualities, great personal energy and the powers to write both technically and in captivating prose, Colvin was, in my estimation, our Adirondack equivalent of the West’s John Wesley Powell. The accuracy of his surveys still astounds modern surveyors, including those who still comb the Park searching for and often finding evidence of his survey, like the Colvin Crew. Colvin’s evocative descriptions of the region in his reports to the Legislature, coupled with his stunning sketches and the lantern slides of Seneca Ray Stoddard, powerfully moved even the hard bitten NYS Legislature to create the Adirondack Park in 1892. From the beginning of the State Land Survey in 1872, Colvin had to beg for State appropriations. These were usually stingy and Colvin frequently had to use his own resources to adequately pay for the season’s work, to say nothing of his remarkable annual reports to the Legislature which are so valued today. This detailed mountain of work, notes, maps, lay at his home, unpublished and known only to the State’s agents who later came and took this material from Colvin. Thus it came to be that the 1898 survey manuscript came into the possession of the newly formed Forest, Fish and Game Commission, and later the Conservation Department. Finally, the 1898 Colvin manuscript, notes and maps, were boxed up and became part of today’s NYS DEC in 1970. There, DEC surveyors in its bureau of real property on occasion made use of Colvin’s detailed examination of the Adirondack country he had measured in 1898. By 1980, Norman J. Van Valkenburgh had risen to be DEC Director of Lands and Forests, and as a surveyor himself, one intimately familiar with his native born Catskills and the Adirondacks, immensely valued the Colvin legacy. Frustrated by a useful Colvin 1898 manuscript moldering away within his reach, Norm tried in vain to persuade DEC to publish it. Then, the stars aligned. Norm joined forces with Ennis and Edie Pilcher, Paul Schaefer and others to persuade Union College to set aside part of its library to host a new collection and volunteer organization known as the Adirondack Research Center (now the Adirondack Research Library at the Union College Kelly Adirondack Center). An eager team of ARC volunteers took charge of the manuscript. “The original manuscript from which we began was a combination of typed and handwritten pages with a great number of deletions and inserts throughout,” Norm Van Valkenburgh wrote. “Some of it was most difficult to interpret,” which is a concession coming from a fellow surveyor. “It is only because of the patience and skills of four typists…that a complete and comprehensive second draft of the manuscript was produced.” Then, “the entire text was edited by Eleanor Brown and Edith Pilcher.” Norm goes on to credit the then new biography of Colvin by Joe Jillisky as giving Norm the basis for a short biographical sketch of Colvin that was eventually placed at the start of the volume (for full length biographies of Colvin, check out Jillisky and another fine one by Nina Webb). But I am getting ahead of myself. All of that work had taken place by 1985, the Centennial of the Forest Preserve. More than five years after DEC had handed it over the 1898 Survey was still not published. 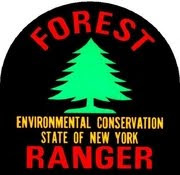 In 1987 I became the staff of the Association for the Protection of the Adirondacks. I was part of an organization that within a year would officially take the Adirondack Research Center under our not-for profit-status. A determined volunteer joined the ARC that year, Maryde Fahey King. Maryde and her husband Larry were leaders in the Schenectady Chapter of the Adirondack Mountain Club. Maryde had just retired from a long career as head of the Whitney Library at General Electric. Looking for a new challenge, she assumed the daunting task of actually bringing the edited 1898 Colvin manuscript to publication. With the advent of personal computers, someone had to digitize the manuscript. Maryde, being the professional librarian that she was, realized the document’s mix of writing and extensive tables of data required a combination of data and word processing. This job could not be done by an untrained summer intern. Maryde and another volunteer working from tiny word processors tirelessly entered it all in digital form: text, margin notes, surveying jargon, symbols, map descriptions, and tediously long appendices, including hundreds of questions and answers by a surveyor of Colvin’s team who had retraced the original outlines of Township 21, of Totten and Crossfield’s Purchase. It took all spring and summer of the hot 1988, with fans blowing hard, to enter the entire manuscript assembled by V. Colvin in 1898. I watched Maryde and her confederate sweat through long, hard days. The work continued into 1989. It was all entered on floppy discs. Another challenge quickly emerged in 1989. Where would the funds for publication come from? My organization, the Association, agreed to send out a request to specialty bookstores, surveyors and Adirondack libraries who could be interested in pre-publication sales by sending us $50 in advance of publication. To our great surprise and relief, some money actually started to flow in, and some good will as well ! We were all excited that this ten year project entrusted to us by the DEC (and Norm) would ultimately be successful. Maryde located some excellent late 19th century Adirondack photographs of the Colvin Survey to bind into the volume, many of which had never been published before. She personally took photos of surveying equipment of Colvin’s day so that the volume’s Introduction would be particularly well illustrated. With illustration and Norm’s excellent short biography of Colvin, we were nearly ready. Norm also helpfully wrote brief descriptions of the contents of every other Colvin survey from 1872-1897. This annotated bibliography of the entire Colvin set of surveys is unique and makes the 1898 volume especially valuable. 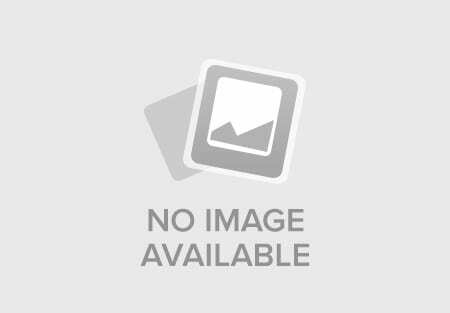 Finding a typesetter and printer capable of doing the work took us many weeks. The floppy discs went off to the printer, but we had all failed to take into account the maps. The printer would not or could not properly tip these maps into the bound volume. Maryde King had to take additional months of her life to laboriously tip in the maps to every bound volume. She did that painstakingly delicate work to perfection. Finally came the great day in spring, 1990 when bound volumes, with maps, were mailed to every pre-subscriber and made available for sale to others. We raised its price to a whopping $75 that year. We had fulfilled Norm Van Valkenburgh’s dream to publish the last, lost Colvin report. Volunteers had persevered through a great many obstacles to accomplish the task, just as Colvin and his crew had to persevere through damaged equipment, drenching rain, wind, snow, fog, hunger and endless fatigue and worry. Additional copies of the last, lost Colvin Survey of 1898 may still be available. Contact the Kelly Adirondack Center of Union College, www.union.edu/adirondacks. Illustrations, from above: Detail of Colvin exhibit at North River, the new Colvin exhibit along the Hudson River at North River, and a Colvin sketch from his survey in the Great Range, c. 1870s. Thank you for this terrific account of this wonderful effort! What a great and true labor of love went into the publication. Maryde, you and everyone involved really enrich our future by preserving the past! Here,Here, Thanks from all of us who are intrigued by Verplanck Colvin’s achievement … this publication will add much to my New Year when I get to read it! when my wife and I purchased property on 13th lk rd in North River we discovered Colvin’s last will and testament included in the title search ( yes, he must have owned our property! ) I would try to have it copied if you’re interested. I discovered this book on August 4 of last year. It was on one of Dennis Holzman’s shelves in his antique store. He was asking a hefty price for it and I had never seen it before and so I browsed and browsed through this book on this particular day and I just knew I could not leave his store without it and so I paid his price to add yet another one of Verplanck’s surveys to my collection, which makes three…the other two being the 1874 & 1879 survey’s. I first became familiar with Colvin through his 1879 survey. My dad paid $2. for this book at a Salvation Army at Babylon, Long Island way back in the early 1960’s. The articulation in his words in this volume when describing nature scenes and some of the events that took shape while he traversed those trail-less Adirondack woods way back in the mid 1800’s so impressed me.These were journal entries that he incorporated in those surveys. Things such as weather conditions, animal sightings, and even being stuck in quick sand once while he was off alone and barely getting out of it alive, etc…. these and much more he incorporated in these early surveys. In his first survey, which is scarce, it is the same, he selectively places some of his journal entries into the report….very interesting bits of preserved moments from way back then by this most wonderful of souls Verplanck Colvin. I have been stuck on this man ever since my dad introduced me to the 1879 report. This 1898 Report is more technical than anything else but there ‘are things’ and I do like the long introduction (49 pages) with its biographical sketch and other interesting bits, and I find it interesting nonetheless and it once again gives a good perspective of the man’s intellect and there is also a foresight in him that I pick up on often when reading his words. Also he had this very deep sense of awareness about him that few people seem to possess. There are so many bits such as this in his surveys and too of course his journal observations and I must say this man Verplanck Colvin has been an added dimension to my Adirondack literature and experience. I visit his grave at least two or three times a year just to say hello and thank you! Can anyone explain to me this process? Just curious. The maps are pasted between selective pages Boreas and so by what I get from the above this woman Maryde King spent a lot of time to place these maps into each printed volume which would make each volume individual, especially if she did not paste them between the same pages in every volume, however many that may be. The original Survey’s from the 1800’s (1874 & 1879) have tipped maps and illustrations and are very delicate, ie they can tear real easy when opening, etc. This man Colvin was a genius and it is nice to see that all these years later people recognize that genius and honor the man by their efforts put into just this one book alone. When Colvin started the Adirondack Survey in 1872, its goal was determining locations and elevations of topographic features, not land lines. 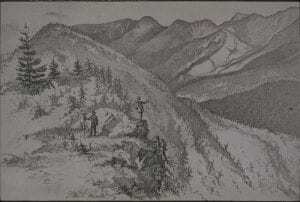 Hence his work from 1872 to about 1890 (not sure of the date) is sometimes called the Adirondack Topographic Survey, as opposed to the Adirondack Land Survey, both of which Colvin led. This latter survey was designed to clarify and ascertain certain property lines, the exact location of which became important after the creation of the Adirondack Park in 1892. 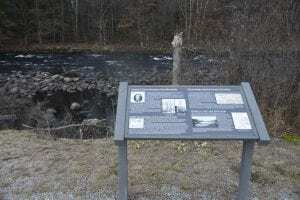 The North River area was of particular interest because of the garnet mining that was going on: among other things, the state wanted to make sure the mines stayed on private property and didn’t accidentally move onto public land. Interestingly enough, Colvin was an investor in one of the garnet mines, probably because he saw the operations and knew the men involved.